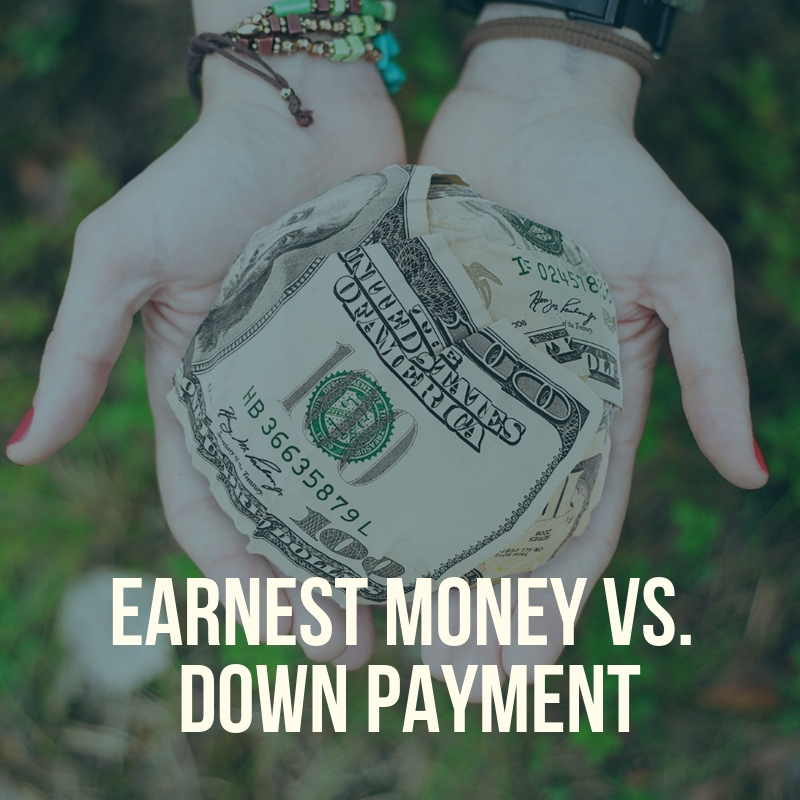 This is a pretty common question, the difference between an earnest money deposit in your down payment. An earnest money deposit is offered by at a potential buyer as a symbol of good faith when entering into a contract to purchase. This earnest money is a security for the buyer that the seller will not sell the property to anyone else while under contract. Although it's not necessary, it does technically mean that there's a mutual promise with both parties to buy and sell. If the buyer completes the purchase or closes on the deal, this earnest money deposit is applied toward the purchase price just like a down payment. If the buyer defaults, the seller could retain the deposit in certain circumstances, but, most likely, if the deal doesn't go through, the earnest money will be returned to the buyer. Sellers should require a decent deposit of at least $1000 or more. Typically, the earnest money deposit is between 1% and 3% of the entire purchase price of the property. The down payment is the amount of cash a buyer will pay at the time of purchase toward the property. Even though this down payment usually includes the earnest money deposit as well, the down payment is due at closing, not toward the beginning of the purchase process. Earnest money is presented with the real estate offer or intent to purchase. It is only deposited in an escrow account once the seller agrees to the purchase and sale contract. It sits in the escrow account until closing or until the buyer defaults, the sale falls through, or the seller requires the earnest money due to negligence on the buyer's side. If the real estate deal goes through, the earnest money is collected with the down payment towards the purchase price of the home. The down payment is only deposited at final closing once the deal is guaranteed to go through. The down payment can be anywhere from 3% on an FHA loan to 20% or even more. Often, buyers selling one home and purchasing another will have their escrow and lenders roll the money from one sale into the purchase price of another so that no actual money exchanges hands at all. Again, the earnest money is simply the first initial good faith move on the buyer's behalf to secure the property during the purchase process. If something happens with the inspection or financing falls through, more often than not, the buyer's earnest money will be returned to the buyer. If the buyer just defaults without explanation, the seller can ask for the earnest money because now the seller must relist the property and go through the process again with another buyer. For more information, stay tuned to our blog or feel free to browse all current Portland real estate listings on my website for free.